The playground just got even sweeter! 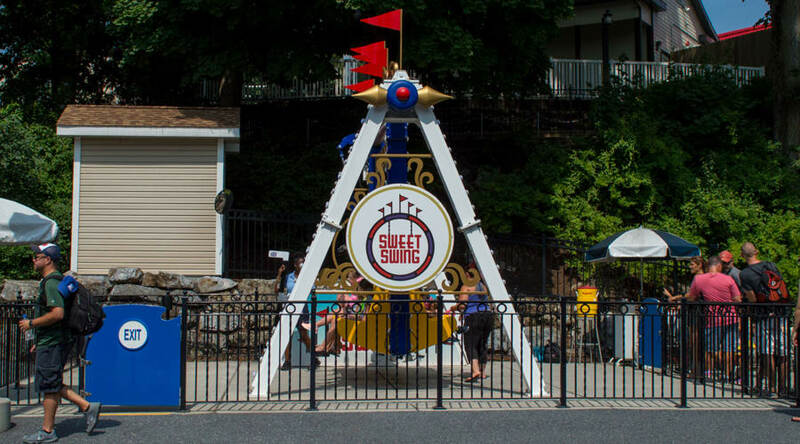 Sweet Swing℠ ride, located in The Hollow℠ region, gives riders the thrill of weightlessness as you glide back and forth on our 12-person swing set. 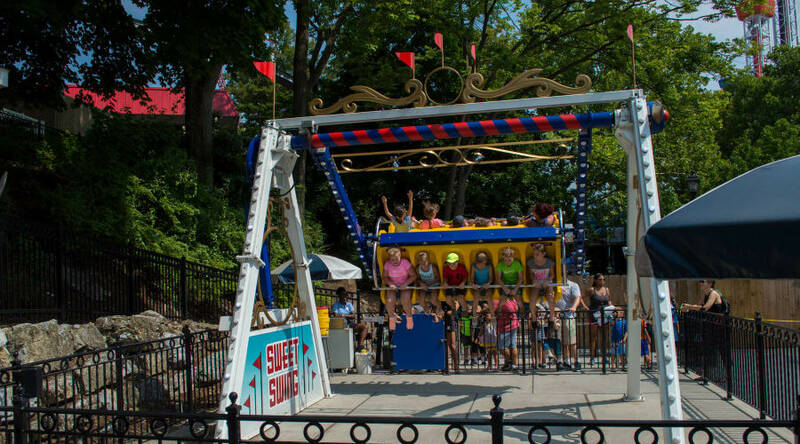 This ride may not accommodate guests of a larger size (height and/or weight) due to the configuration of the safety restraint system. 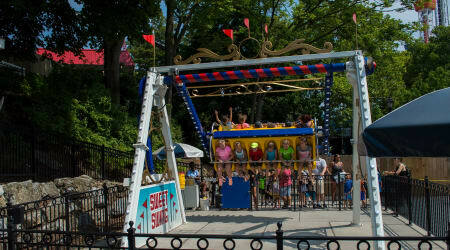 Guests taller than 6 feet are not permitted to ride.